British Columbia’s dismal cannabis sales in the opening hours of legalization should be seen by provincial and federal regulators as a sign to do more to entice illicit players to join the regulated industry, experts say. 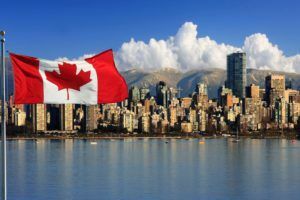 Among the provinces that disclosed first-day sales data, British Columbia’s sales were the lowest in Canada. The province recorded 9,137 separate transactions of recreational cannabis products through its government-run website in the first 24 hours. That compares with Ontario’s more than 100,000 purchases, Quebec’s 30,000 online orders, and Nova Scotia’s 12,810. Neighboring Alberta reported 8,300 online orders in its first 15 hours, meaning the province likely outsold British Columbia by the end of the day. “B.C. coming last in sales is horrifying for the cannabis industry in this province,” said one executive, who asked to remain anonymous because of ongoing supply talks with the province. “The first-week sales numbers in B.C. were by far the weakest of any province. The (BC Liquor Distribution Branch) needed retail storefronts open yesterday,” the executive said. Most experts believe the province’s gray market is a multibillion-dollar industry. How much of that is shifted to the regulated market in the coming months and years ultimately depends on the effectiveness of the provincial and federal regulations on cultivation, sales, distribution and consumption. British Columbia managed to open only one government-run retail store for the first day of legalization – hundreds of kilometers from the heavily populated Vancouver area. A spokesperson for the Ministry of Attorney General told Marijuana Business Daily that the government “cannot speculate” when private stores could start serving the market. Of the nearly 200 cannabis retail store license applications for privately owned stores received by the Liquor and Cannabis Regulation Branch, 113 are “paid but incomplete” and 73 have been referred to respective local governments for approval. So far, no stores have been allowed to open. Ian Dawkins, principal consultant of British Columbia-based Althing Consulting, said the province simply was not prepared for the launch of the recreational market last week. “How did we end up in a place where British Columbia – with the largest and most robust cannabis market in Canada, with the most sophisticated consumers – has one retail shop, no licensed micro-producers and no timeline for when any of that will change?” he said. Dawkins believes federal regulators should share some of the blame for not having micro-cultivation ready sooner, which will be essential to providing a pathway for illicit growers into regulated channels. The federal government started accepting applications for micro-cultivation on Oct. 17 – the first day of legalization – but has no estimate as to when the first licenses could be issued. British Columbia has a very sophisticated illicit market, said Alex Shiff, senior consultant for Navigator, a Vancouver communications firm. “On the ground, I sense that there is also much less novelty to the concept of legal cannabis because, for Vancouver residents, cannabis has seemed to be de facto legal for years – with the presence of brick-and-mortar cannabis stores exceeding Starbucks in many areas,” he said. The market was “pretty much status quo” on the day legalization launched, according to Travis Lane, founder and cultivation specialist at Victoria, B.C.-based Levity Solutions, “with a few people like me having switched off the tap months ago to prepare for the long licensing process and a few good shops shutting down during the retail licensing process. “It is extremely exciting in theory, but the actual day of legalization changed very little out west,” Lane said.